Italian-born composer and performer Alessandro Cortini is a musical voyager. 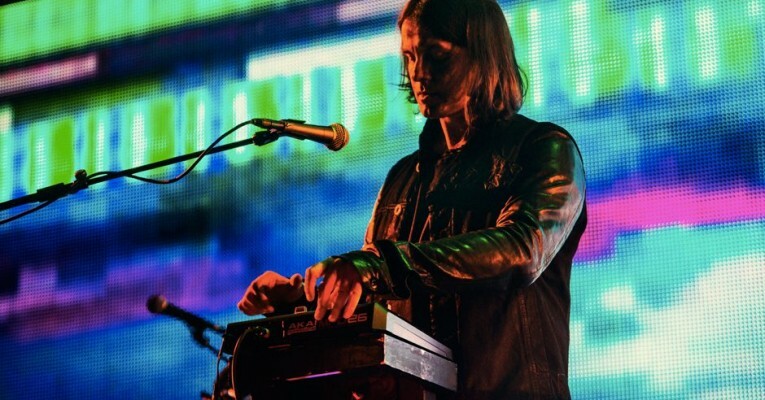 Having spent considerable time performing lead electronics in addition to revisiting his initial instrumental forays in guitar for Nine Inch Nails and How to Destroy Angels, as well as continuing a solo project under the banner SONOIO (an Italian echo from “sono io” translating to “it’s me”), Cortini released his first recordings under his given name with the Forse series of works created on the Buchla Easel for Important Records. In 2014, Cortini began an ongoing series called Sonno for Dominick Fernow’s Hospital Productions, a gorgeously “restrained yet oddly emotive” call-and-response with the Roland MC 202, playfully dancing out of the academically driven approaches that typically infiltrate the aesthetic of hardware enthusiasts.